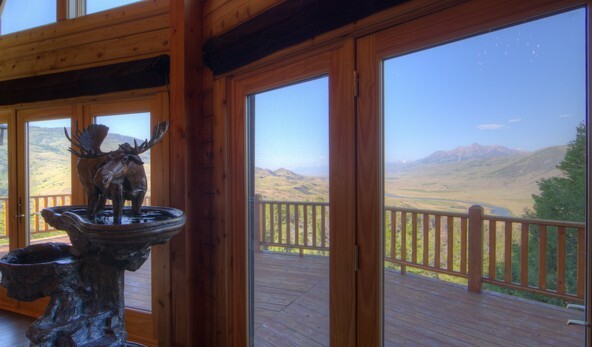 Wildlife roams out of Yellowstone National Park and into the backyard of this oasis in the famed Paradise Valley. 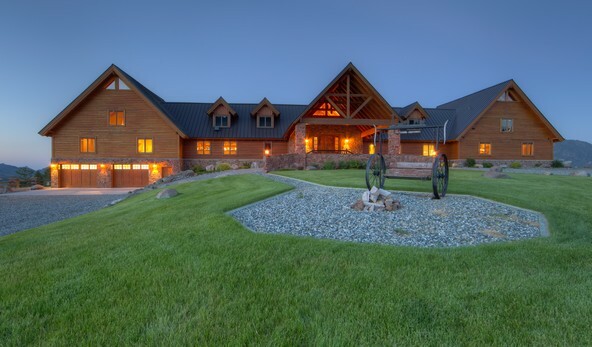 A pair of roaring creeks and a pair of tranquil ponds add tremendous recreational value to the over 626 acres located between Emigrant and Gardiner, Montana. 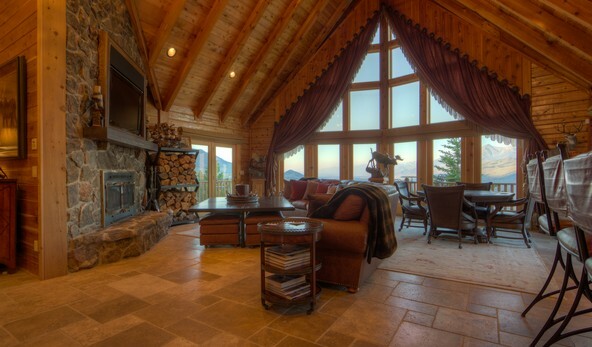 The property will attract fishing, hunting, hiking, and 4-wheeling enthusiasts as it borders National Forest for almost two miles. 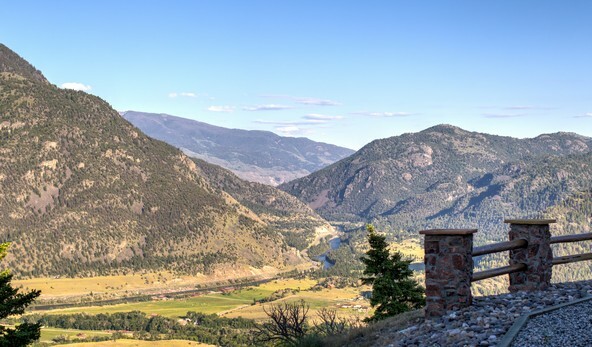 The varied terrain offer lots to explore, including 4 eagle traps from the Sheepeater Tribe, coulees, meadows, and lush sanctuaries. 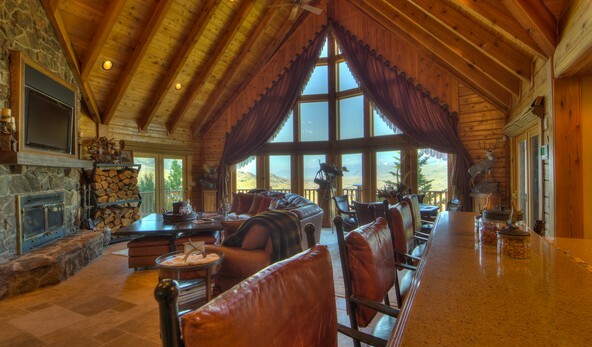 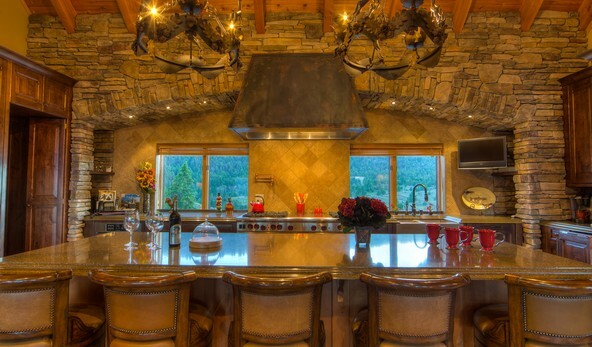 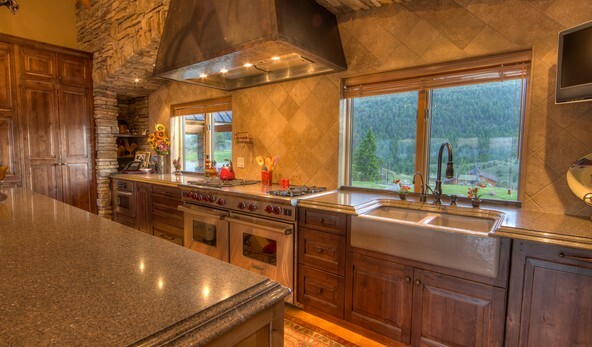 The mountaintop home overlooks 12 miles of the Yellowstone River and offers 360-degree views. 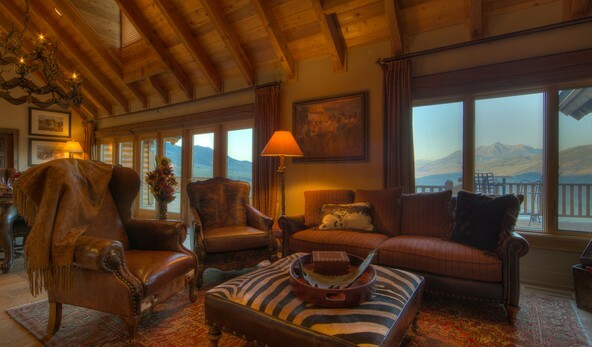 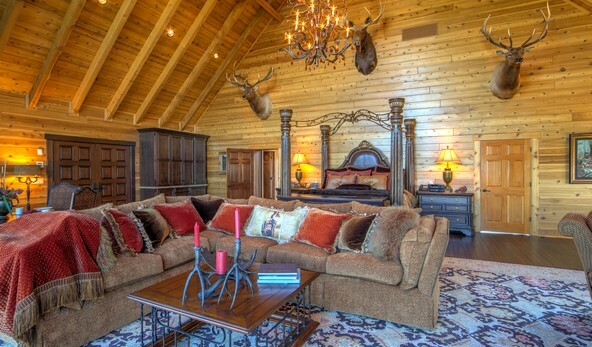 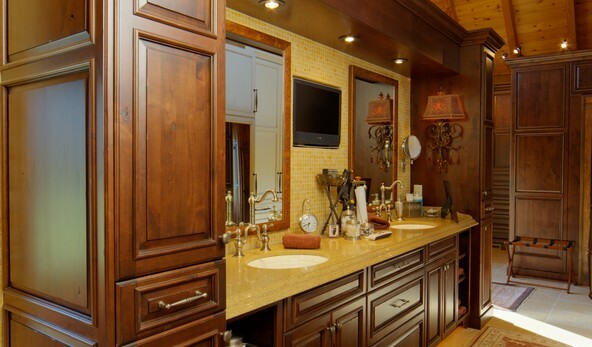 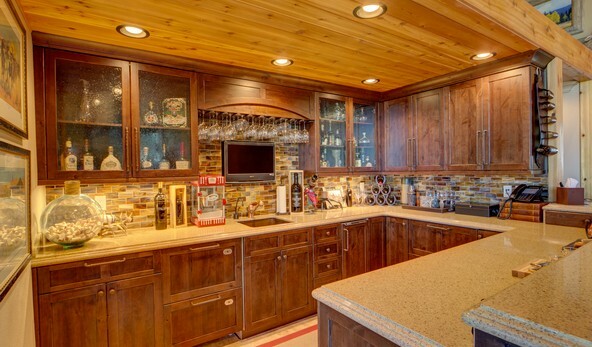 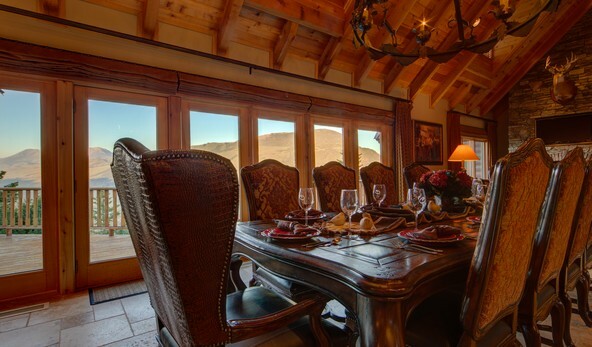 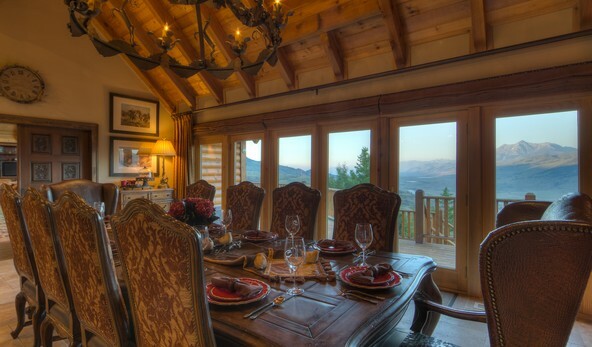 Grizzly Meadows Lodge was meticulously remodeled in 2010 to showcase the finest of luxury finishes and craftsmanship. 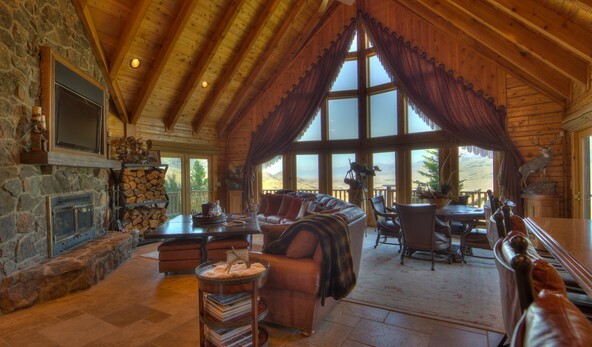 The log-sided home now provides superb accommodations for family gatherings, corporate retreats, and classic Montana adventures. 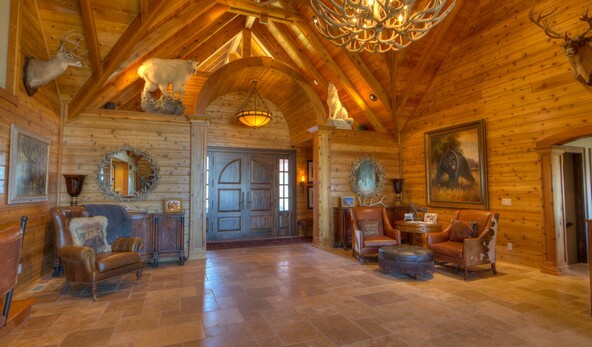 Buyer represented by Steve Leibinger, Swan Land Co.